Leicester City Council has specially commissioned a play called ‘The Finest Ruin’ (poster below). 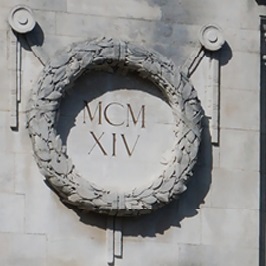 The play centres on the development of the Arch of Remembrance – the Lutyens designed War Memorial in Victoria Park. Scenes cut between Lutyens and the city’s mayor Sir Jonathan North and address the creation of the Arch and the gates which this project is restoring, along with a brief exploration into Lutyens’ own history, with another future story of two young students who happen to meet at the memorial and form a friendship. One student has migrated from New Delhi and finds comfort in the familiar looking war memorial (Links to how similar it looks to the India Gate). Throughout the story, historical facts and memories of local people, about many of the city’s parks are woven in. 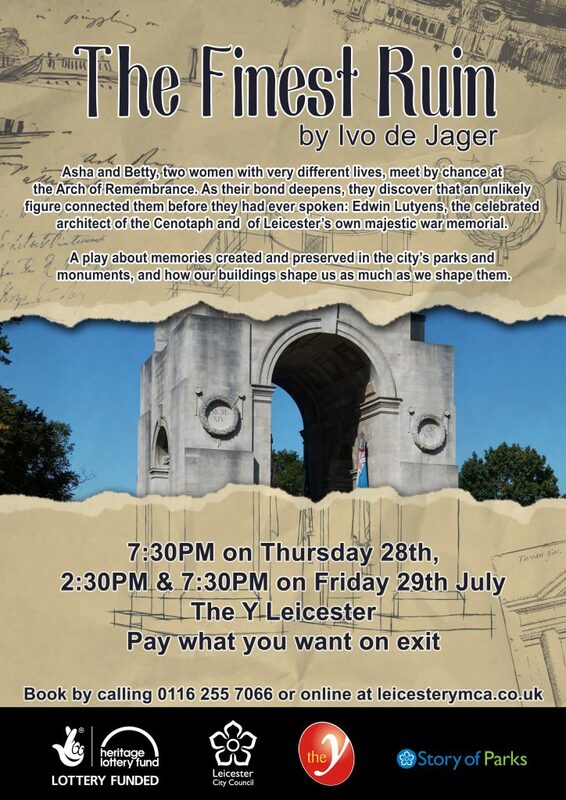 The Finest Ruin will be performed at the Y Theatre, 7 East St, Leicester at 7.30pm on Thursday 28 July, 2.30pm and 7.30pm on Friday 29 July.